I was staggered at the number of people filmed driving through flooded roads during the storms this week in NSW. 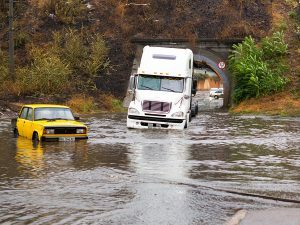 It not only puts the car at risk and the neighbouring property which is hit by the wake from the vehicle, but it puts the driver and passengers in danger and those that go to their rescue. Clearly there needs to be a three pronged attack. A safety campaign, increased penalties including loss of licence, and more insurers including an exclusion in their motor policies. This morning on the news there was a lady who was in an evacuation center stating she had 4 children a pet, no clothes or supplies. I could not believe it. The risk of bush fires appears to be publicised well in advance and I would expect that at the earliest warning, the car would be refueled, important possessions such as photo albums etc would be packed up along with some clothes, water and rations so that in the event that evacuation is advised or authorities have ordered, people could load up and get out in minutes. To complain about a lack of information when it is all so fluid appeared unfair. I hope to goodness homes are saved and that those that are lost are fully insured. However, I suspect that the lack of preparedness could flow through to inadequate or no insurance. 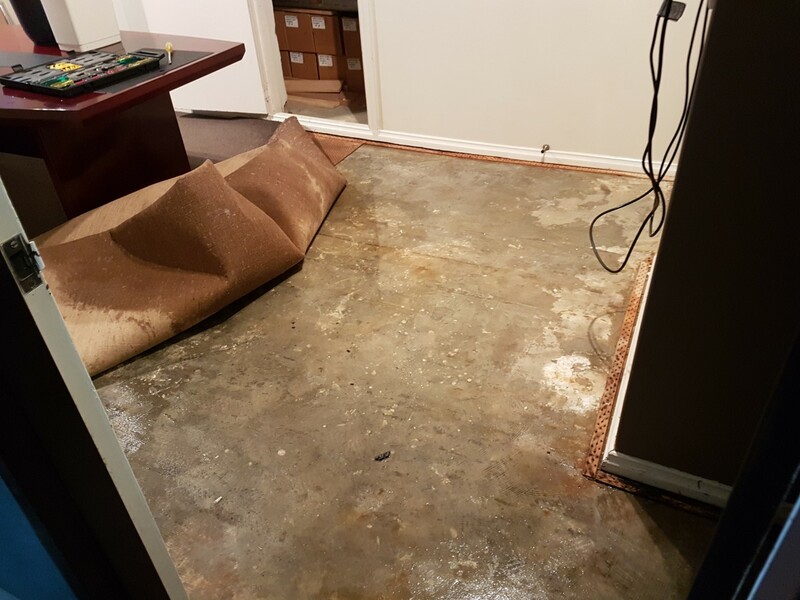 On the subject of insurance, our own offices in Sydney were effected when a storm water pipe in a void behind our primary meeting room failed flooding the carpet, damaging a ceiling and built in cupboard and nearly reaching the stock of insurance text books published by us. We are not sure when the crack developed and it could have been there for ages and coped with smaller storms but it clearly failed during the massive downpour yesterday. Our Sydney team, headed by our head of claims, Steve Smith, reacted quickly minimising the loss by lifting the carpet to dry and removing the saturated underlay while the body corporate appointed plumber was quickly on the scene to fix the problem and prevent further damage. The loss will not be great but it is comforting to know we are fully insured with an insurer (Chubb) renowned for their claim service protecting us. 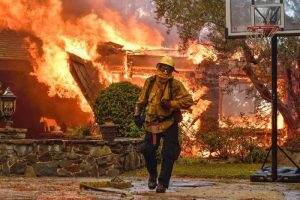 If something like this can happen to a risk averse company that goes out of our way to manage our risk, it can happen to anyone, at any time, bearing in mind that the majority of insurance claims effecting property are not fire related but water/weather related. While all this is going on, our claims teams in Queensland and New South Wales have been responding to claims arising from the fires and storm damage.